This spring, a graduate class from NYU Steinhardt traveled to Hong Kong to collaborate in visionary plans to protect Hong Kong’s ecological heritage. The class is taught by Prof. Raul Lejano, who integrates the international field studies workshop with his ongoing research on urban resilience in Asia. Over two weeks in January, the students collaborated with nonprofits and others in Hong Kong to craft strategies for integrating the urban and the ecological. They were even joined by Dom Brewer, Dean of the Steinhardt School, for a day or trekking in the field. The rest of the semester was then spent analyzing data and preparing deliverables which are then presented to stakeholders in Hong Kong for actual implementation. This year, students sorted themselves into four projects. The group sought to create ways for local residents to cherish (and protect) the coastal wetlands and mangrove in Hoi Ha, an area in Sai Kung District, Hong Kong. 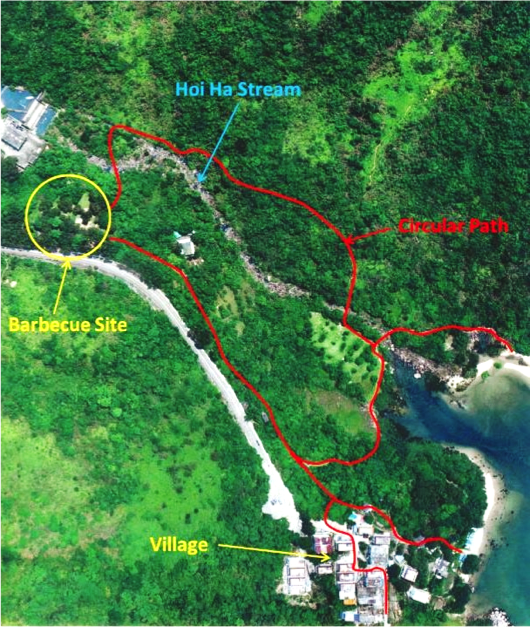 To do this, they worked with Friends of Hoi Ha to design, stake out, and geo-reference a nature trail, complete with interpretive signs (map shown below). 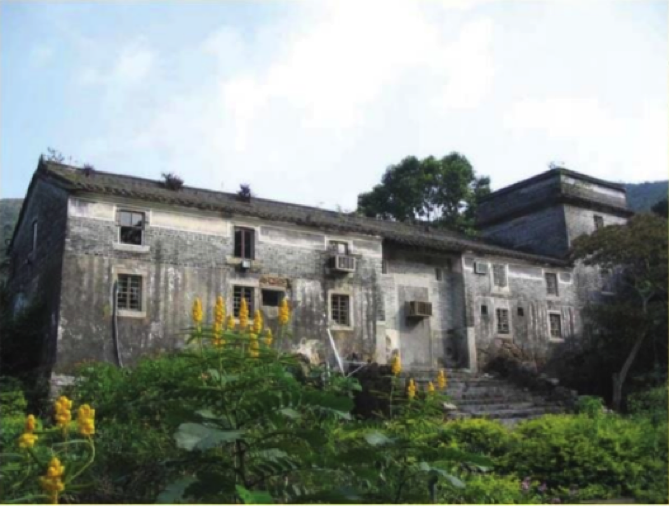 The project took a surprising turn when the group retraced an old, abandoned boulder trackway built by Hakka settlers almost two hundred years ago. They integrated the historical pathway into the new nature trail to provide the visitor an experience of history and ecology. 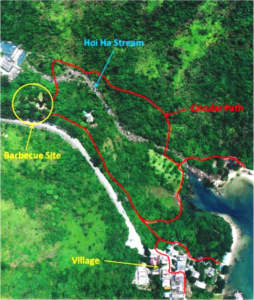 Friends of Hoi Ha is working with the Environmental Minister to formally incorporate the nature trail into the nature master plan for Hoi Ha. 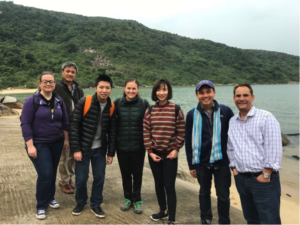 Another group of graduate students worked with a local elementary school, Hong Kong Academy, to design and conduct a half-day nature lesson revolving around the ecology of Hoi Ha. Their vision for the learning experience was to integrate play and experiential, place-based learning to engage fifth graders in environmental action. 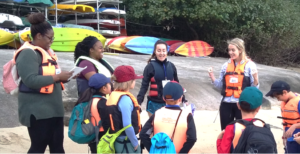 Learning about mangrove and wetlands was integrated with hands-on activities, including kayaking, planting mangrove propagules, and identifying freshwater insects. Assessment revolved around interpretive drawings that the kids created to capture the day’s activities. The lesson is being formally integrated into the Academy’s curriculum. Pak Sha O is a traditional Hakka village in Sai Kung, Hong Kong, where the old village houses have been preserved by its current residents. The government has made plans to put in new housing in Pak Sha O. NYU students have written up a set of design recommendations for new housing in this ecologically and culturally important area. The specs include: adaptation of Hakka housing elements for the exterior, application of Feng Shui design concepts for the interior, wind turbines, and advanced septage treatment. An interesting facet of the design concerns the intersection of cultural and environmental elements –e.g., agreement between traditional Feng Shui concepts and newer sustainable design principles. The area of Sai Kung is popular with tourists for its renowned seafood restaurant row. However, seafood tourism goes on seemingly disconnected with the rich heritage of Sai Kung as a fishing village. NYU students trace the cultural and cuisinary pathways that make up seafood tourism in the town. Their ethnographic study has led to recommendations for making the fishing culture and coastal ecology alive for visitors to the area. The guide includes a walking tour of Sai Kung and an ethnography of the local seafood industry. This entry was posted in Faculty, Students. Bookmark the permalink.